Inspired by an urban street painting intervention in Berlin, the Helsinki based collective Länsiväylä asked people to join a guerilla operation to paint a bike lane on Hämeentie, one of the main roads leading through the Northern part of central Helsinki. During the day Hämeentie has very intense car traffic and causes a lot of noise in the neighbourhood. The method used in the intervention was simple - paint was poured on the street and then people drove with bicycles on top of it, spreading the paint further. 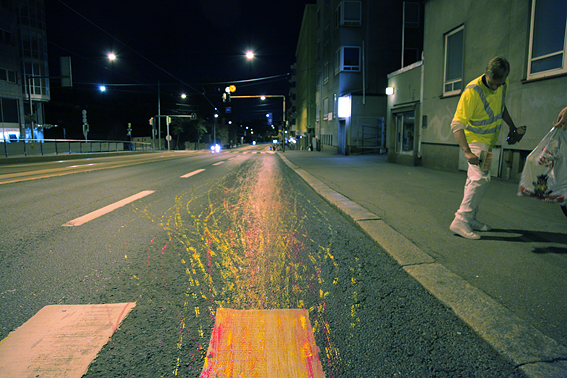 This action can be considered 'semi-illegal' since the paint used in the operation washes away with water, so the traces of the action will remain on the street surface only temporarily. Even though the intervention took place in the middle of the night (or maybe because of it) it attracted a huge crowd on participants. 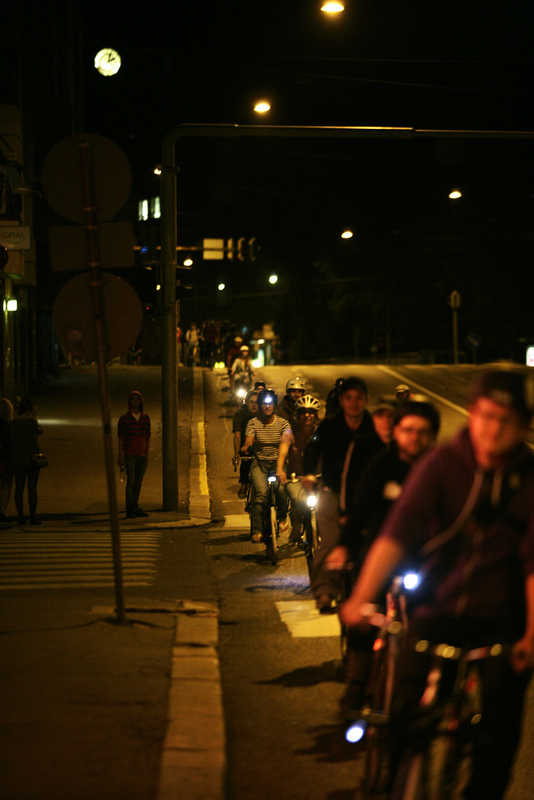 If you missed this event then don't worry, another collective bike intervention will take place in Helsinki very soon - the next Critical Mass event in Helsinki will be held on 10 August (more information in Finnish).